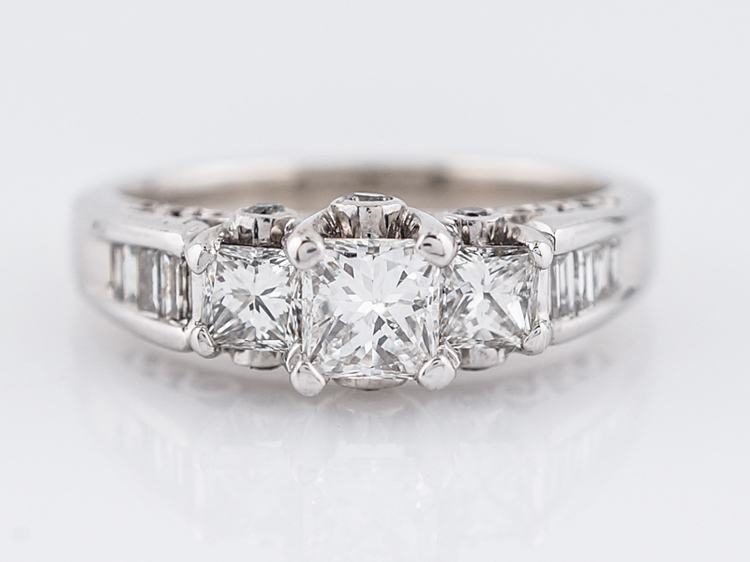 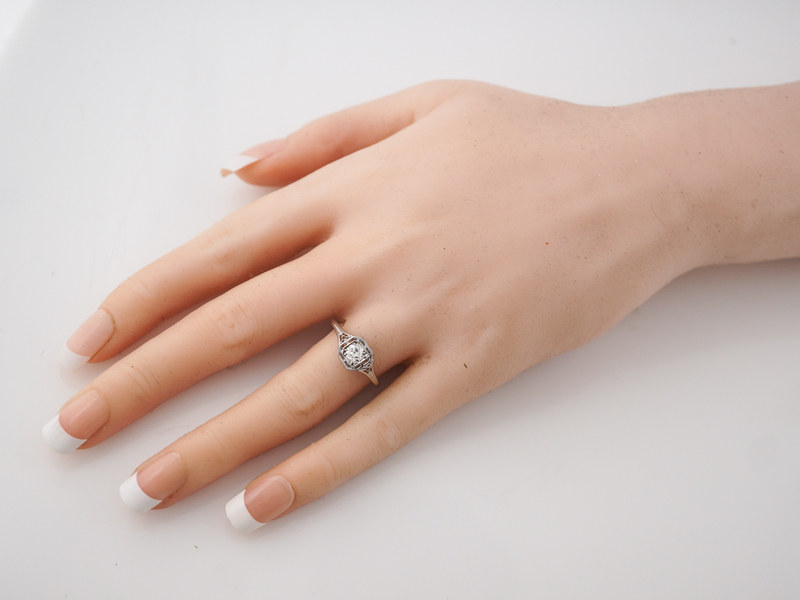 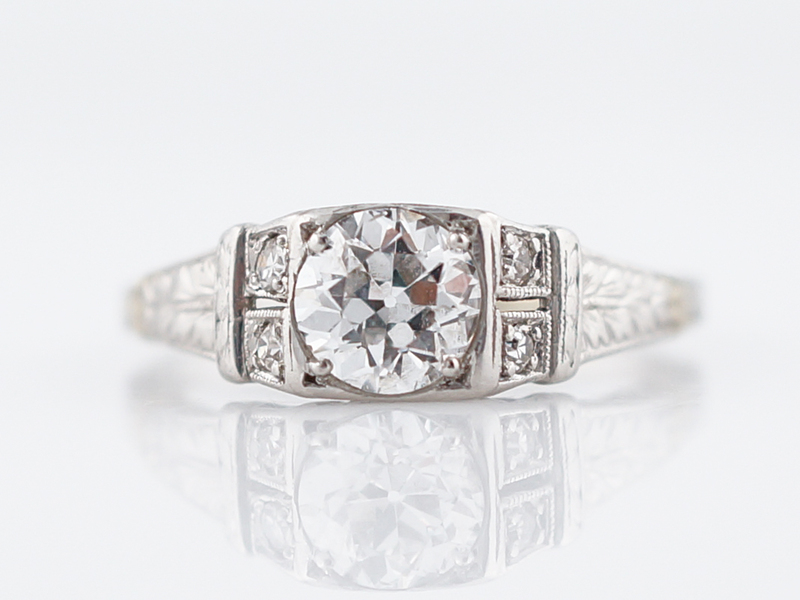 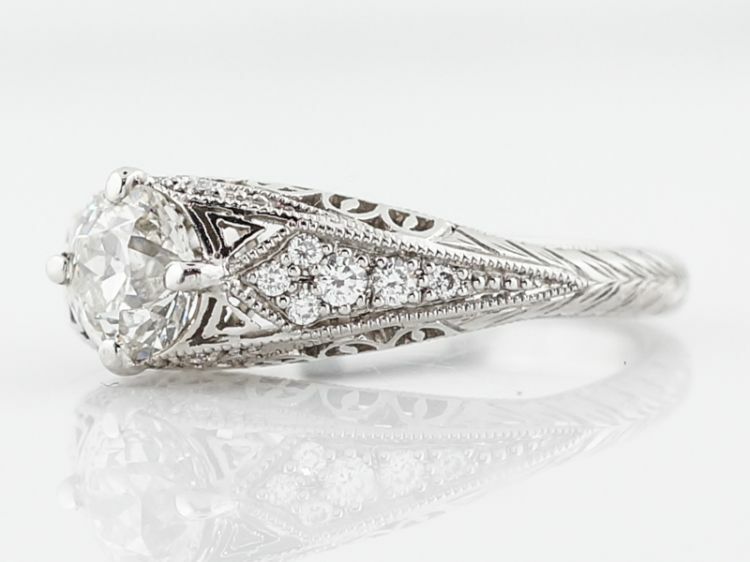 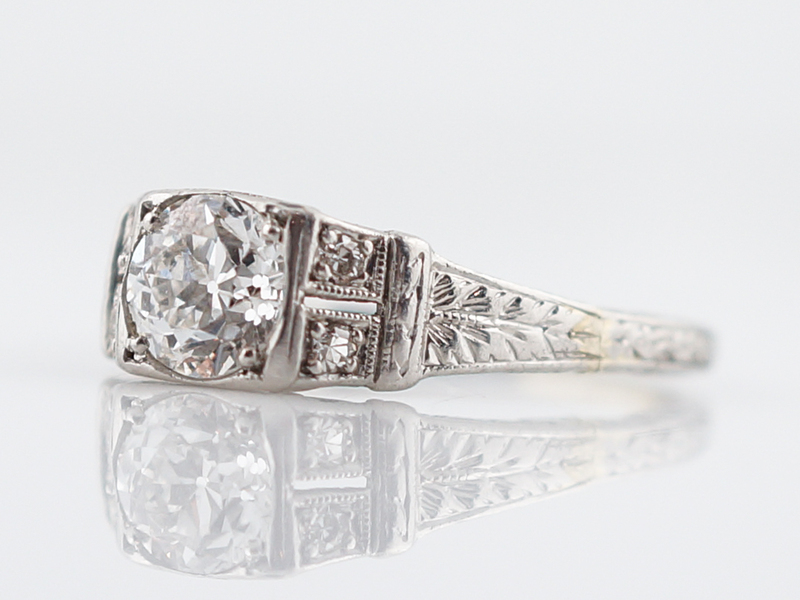 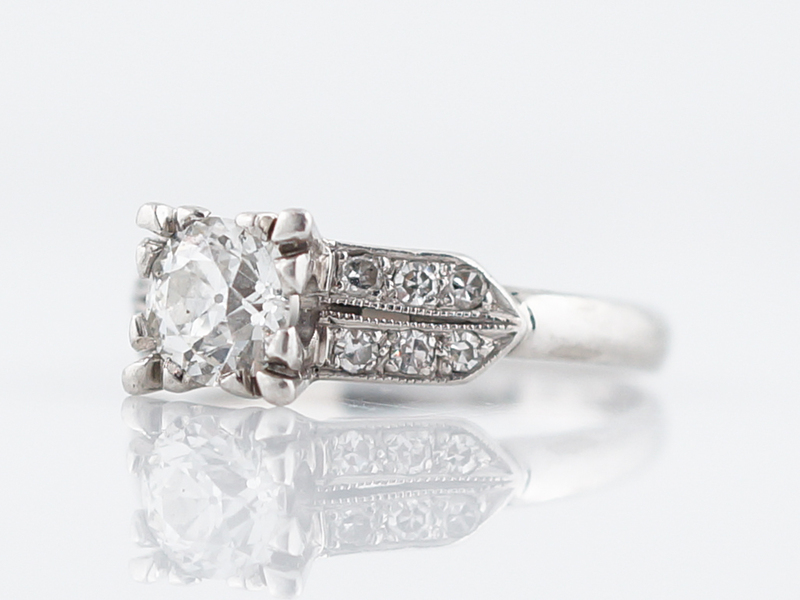 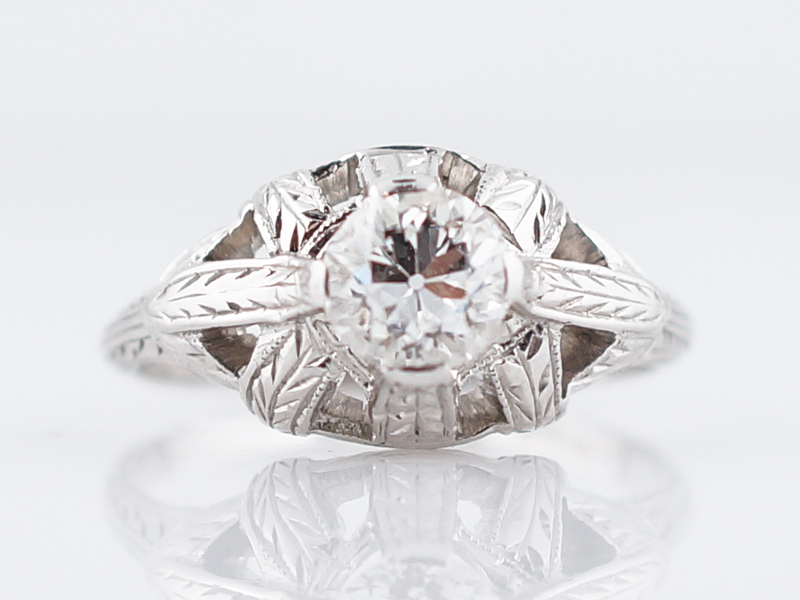 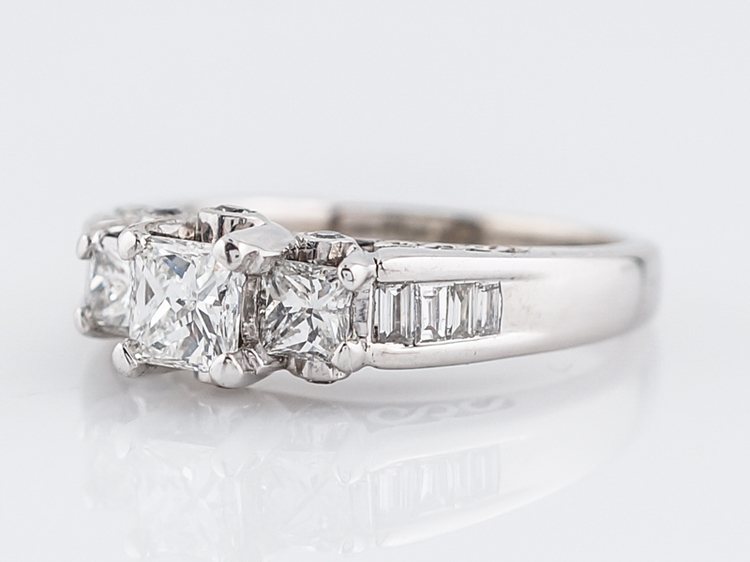 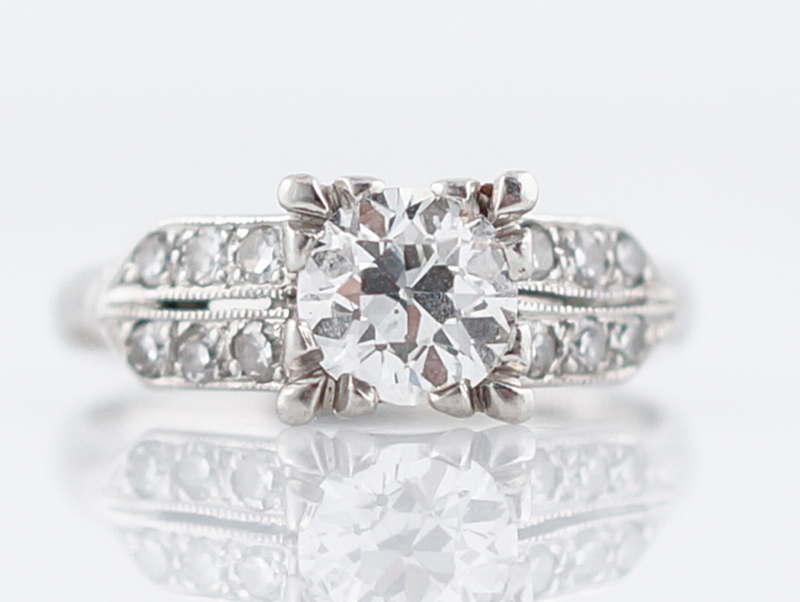 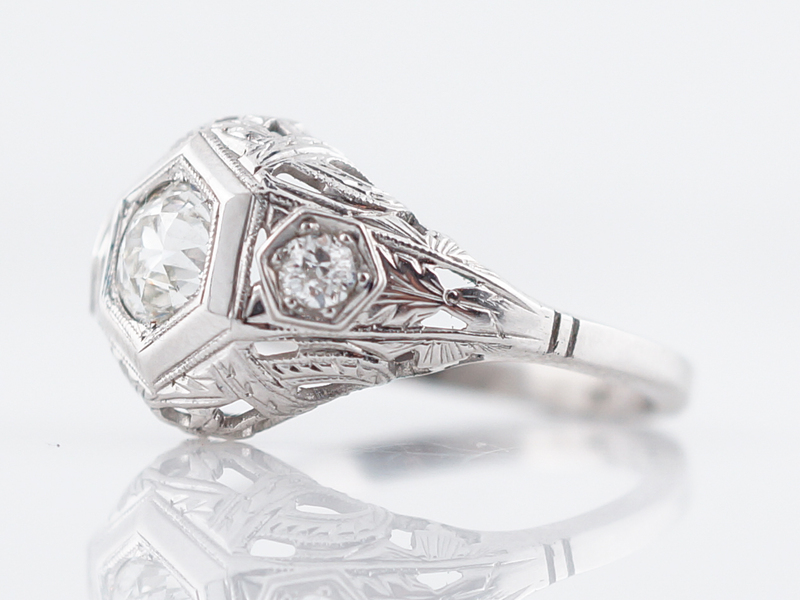 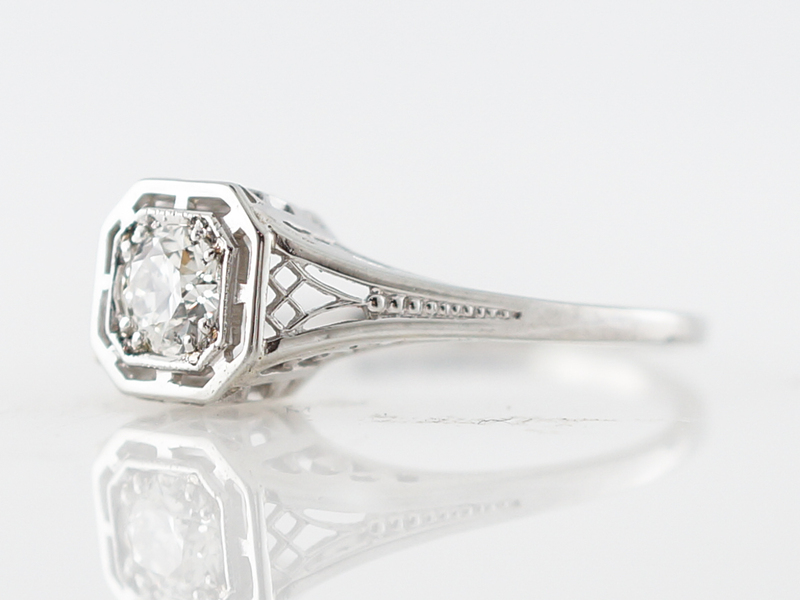 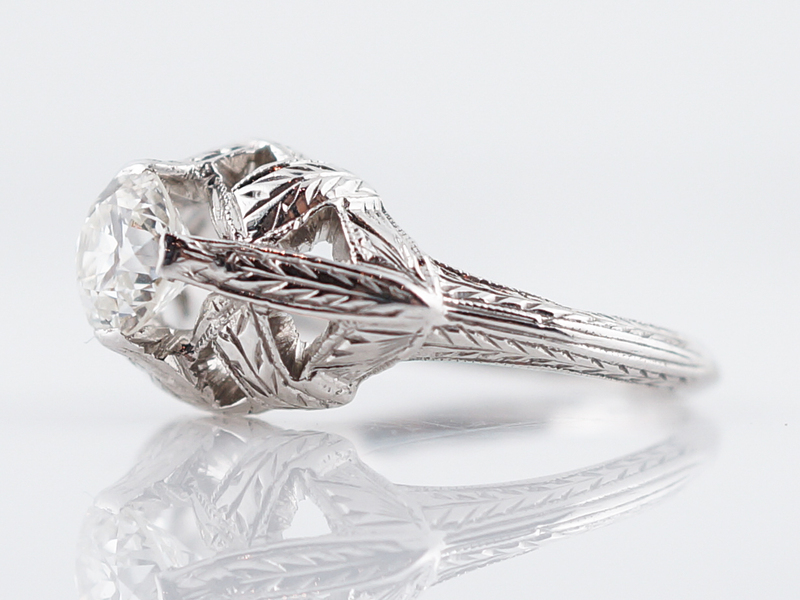 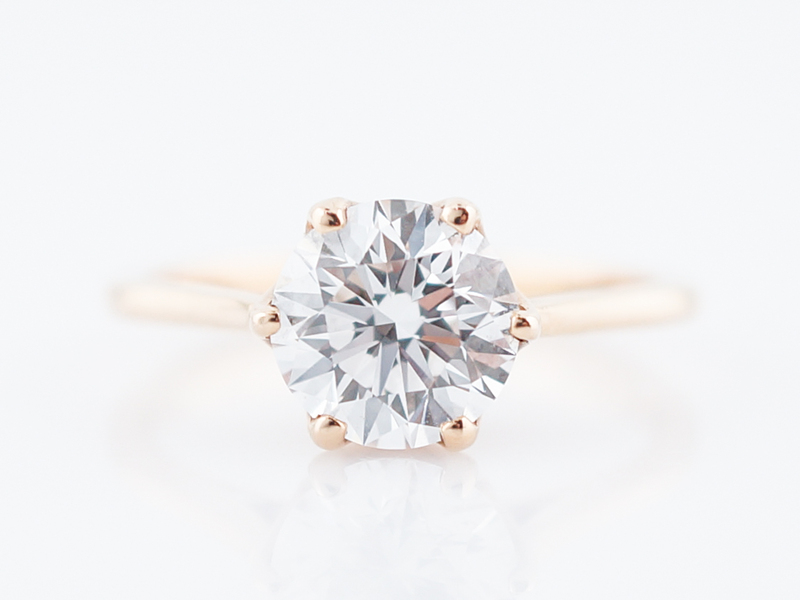 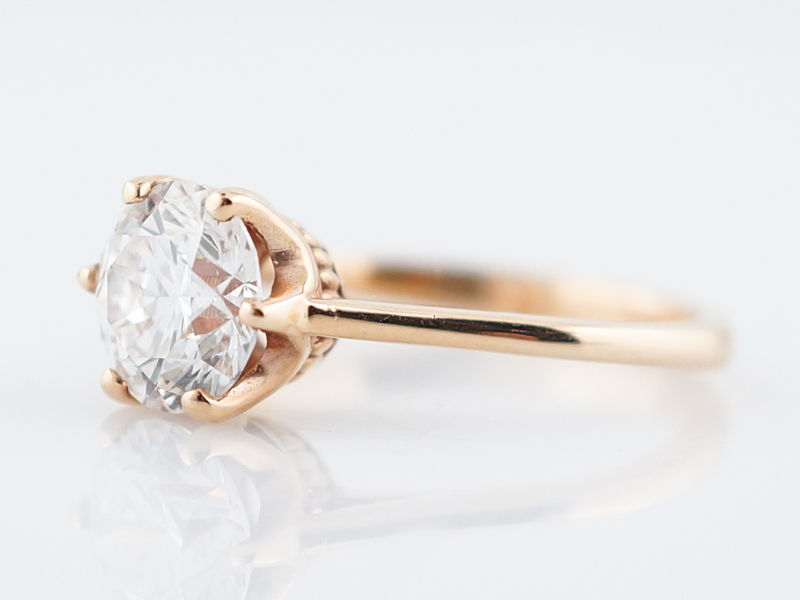 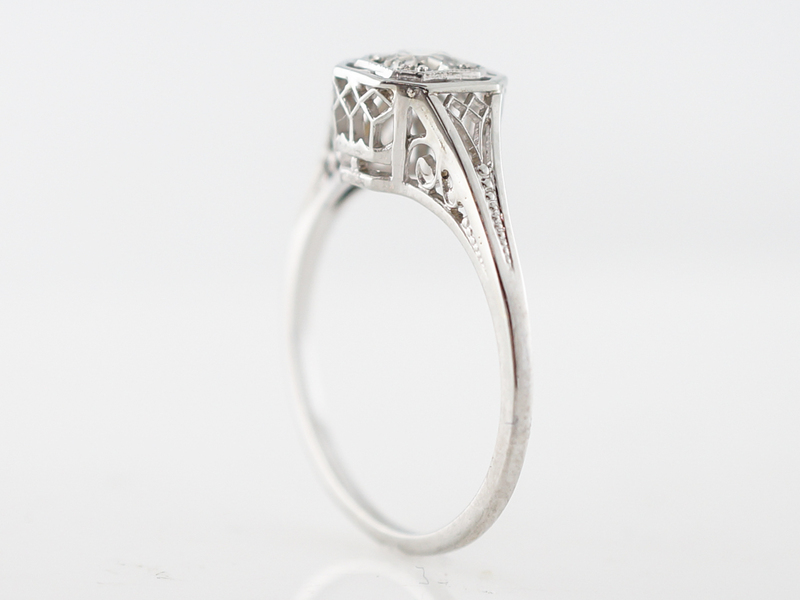 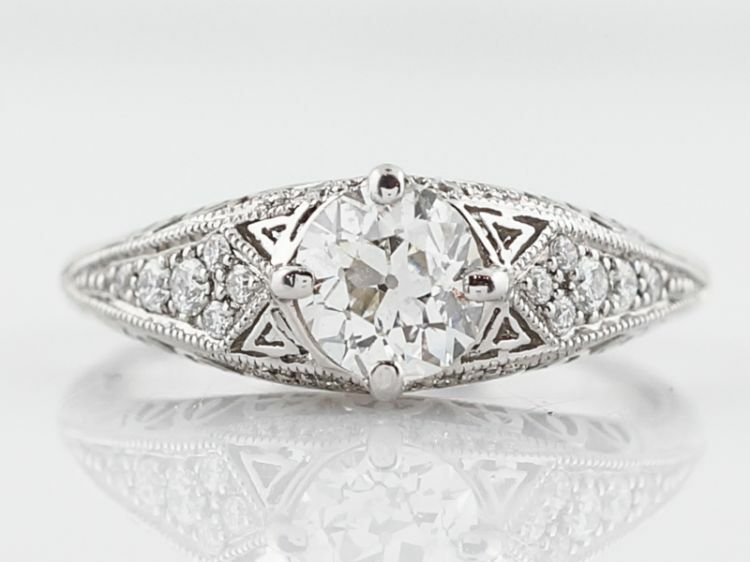 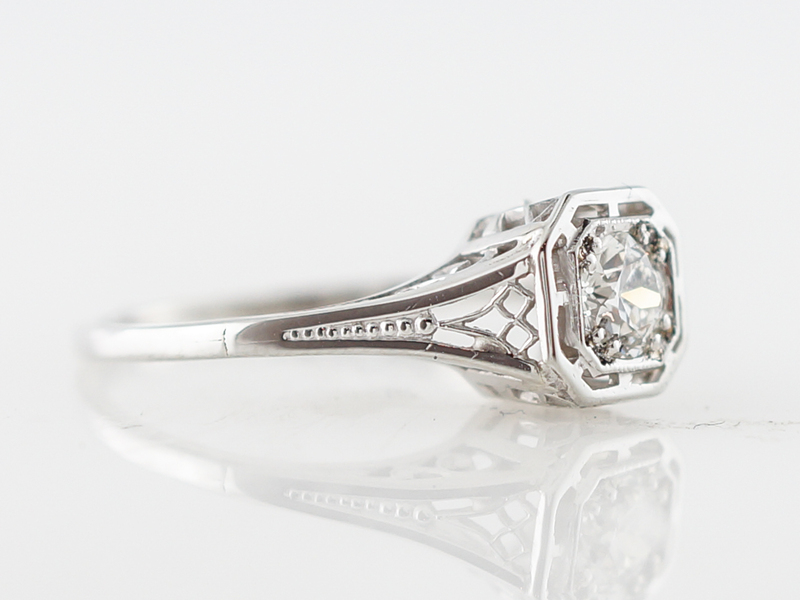 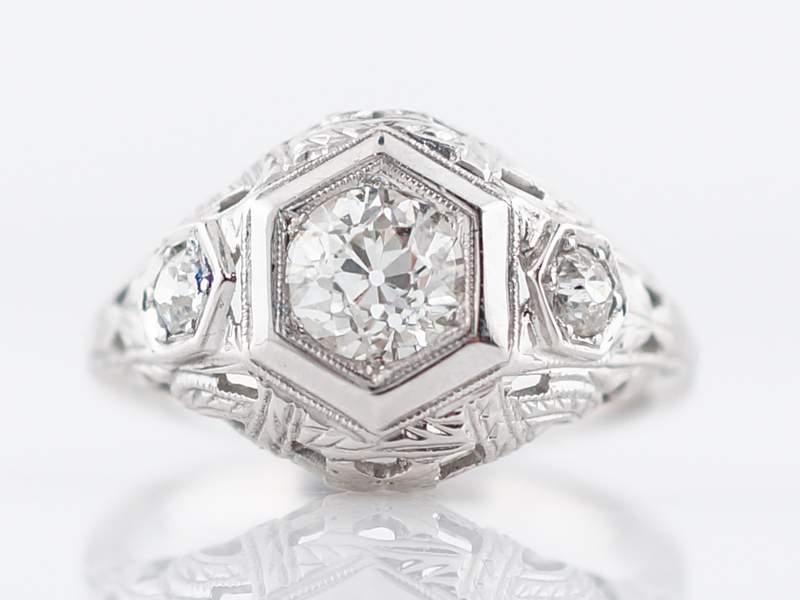 This art deco engagement ring highlights beautiful open filigree and a classic art deco look. 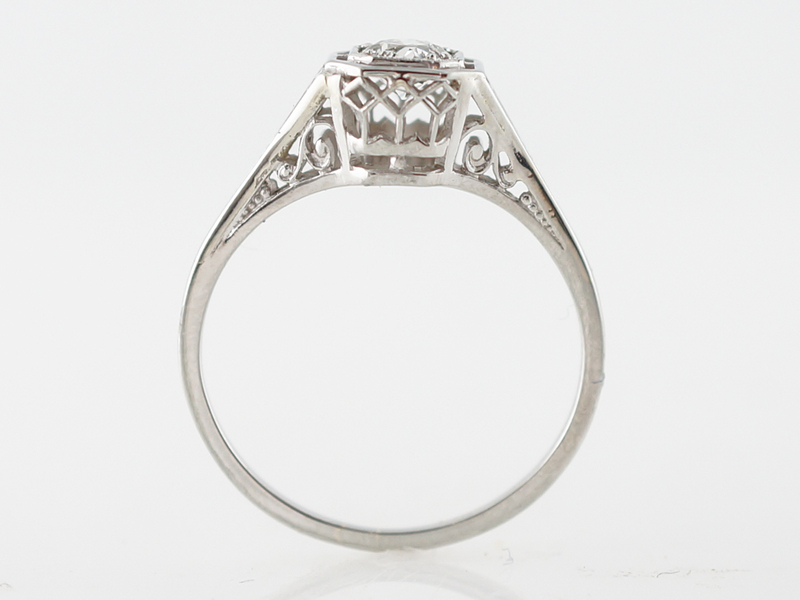 This particular ring is likely from the earlier part of the time period and shows off some characteristics of the preceding art nouveau era including a slight curve in the line work. 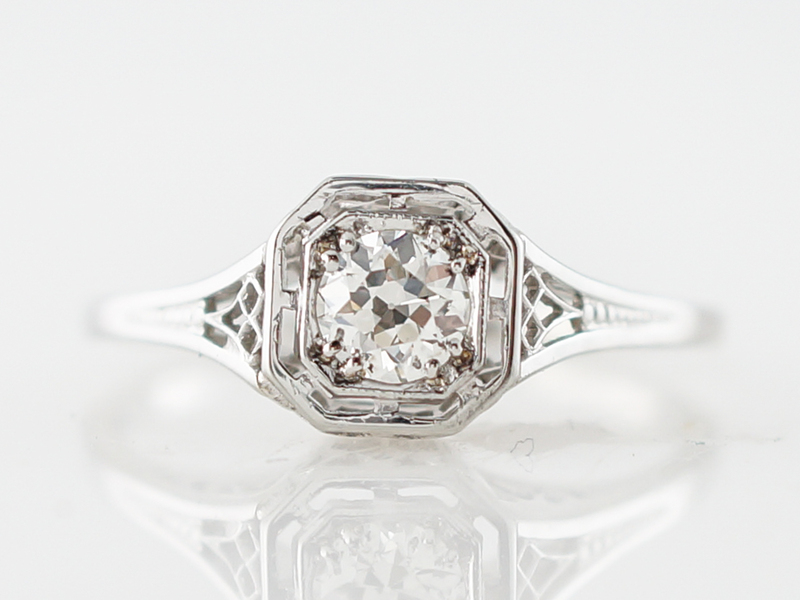 This ring exhibits a .42 carat old european cut diamond and is composed of 18k white gold.